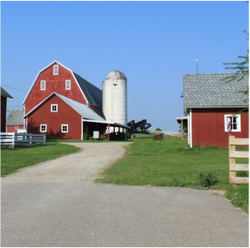 Farm Insurance - Learn About Farm Insurance - PFC Insurance Center, Inc.
PFC Insurance Center, Inc. is a Nationwide Agribusiness Farm Certified Agency. Whether you’re a local grower or a large cultivator, we understand the value of insuring your greatest asset. At PFC Insurance Center, we’re dedicated to providing the agricultural coverage and services you need to keep your farm or ranch protected – so you can focus on maintaining a smooth operation. We have many clients for orchards ranging from Prunes and walnuts to rice farms. We will make sure everything is covered by fully evaluating every acre of your property. We know that you work hard as a farmer, and at PFC Insurance Center we want to extend that same courtesy to you by keeping your farm and everything on it insured. Our AFIS certified agents are sensitive to your individual needs and will work with you to find a policy that best suits your farm or ranch. You’ve worked hard to build your farm into a business. PFC Insurance Center will work even harder to ensure that your business is protected. ​What does our AFIS certification mean for you? The Agribusiness and Farm Insurance Specialist (AFIS™) program is a specialized curriculum focusing on the insurance and risk management needs of agribusiness and farm operations. In other words, AFIS certified agents are at the top of their field in terms of knowledge and dedication to the industry. Maintaining AFIS certification requires completion of continuing education courses or seminars. You simply will not find an agency that is more qualified to assist you with your farm and agribusiness insurance needs, or one that is as dedicated to giving you the personalized service that you deserve. We assist you from start to finish, from utilizing our expertise to build your ideal policy to providing you on the ground assistance through any claims. So give us a call or request a quote below today, and let us go to work for you. We provide insurance solutions for farmers near Marysville, Yuba City, Chico, Sutter, Grass Valley, and Auburn.